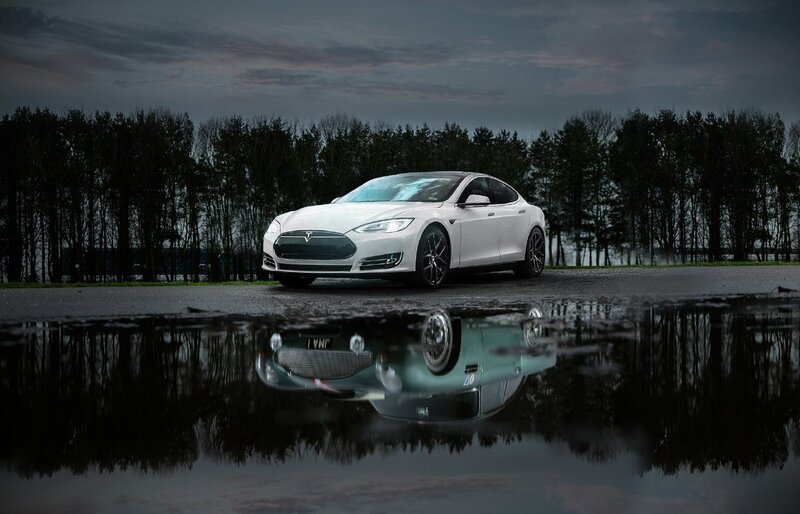 In a world of innovation in Advanced Driver Assistance Systems (ADAS) and autonomous vehicles, think about how far we have come in technology. Now imagine where we are going to take it. Formerly, cars were mostly mechanical, metal linkages, with oil bath filters, and internal combustion. Today, cars are sophisticated industrial achievements. They come manufactured with outstanding safety features, intricate navigation systems, variable-valve timing and lift technology, with the capacity to make imperative decisions, and self- drive. These innovative developments require high-level boundary-scan, at speed, non-intrusive functional testing, ideal for advancing the quality of your product and value of your brand into the future of automotive. 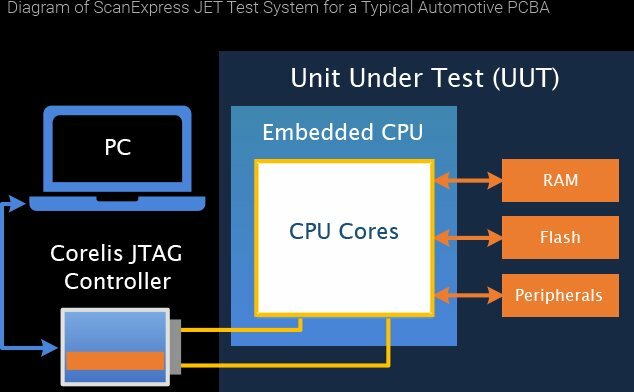 JTAG-based At-Speed, Non-Intrusive Functional Testing Ideal for Autonomous Vehicle Systems. By combining ScanExpress JET with Corelis boundary-scan tools, test coverage for any embedded system can be expanded. Best of all, the same hardware and software interface can be used, allowing JET and boundary-scan tests to be executed at a single test station—or integrated into existing automated test systems. The processing systems behind Advanced Driver Assistance Systems (ADAS) technologies often employ system-on-chip (SoC) devices, devices that JET can use to test the system for manufacturing defects on a wide variety of electronic interfaces. ScanExpress JET can be used to test RAM, flash, and interface peripheral components in information and entertainment systems immediately after manufacture—before boot and application code has been developed. Interfaces between the CPU and PHY components in Telematics control units can be tested with custom scripts to verify functionality—no operating system required. ScanExpress JET automates at-speed functional test development for embedded system peripheral components that interface with an IEEE-1149.1compatible CPU. Because it is non-intrusive, ScanExpress JET tests can be used to verify electronic assembly of automotive system modules without modifying the PCB circuitry or the on-board ﬁrmware, and may even be combined with traditional Corelis boundary-scan tests steps in a single test sequence. The host software automatically uses these features to download test & diagnostic routines into the CPU cache or external memory. These routines then execute at full processor speed and report results back to the host system. The ﬁgure above depicts a Corelis single-TAP JTAG controller connected to a board with an embedded CPU, enabling atspeed functional testing of RAM, ﬂash, and other interface peripherals. JET requires a UUT with a JTAG-enabled processor and external access to its Test Access Port (TAP). A Corelis highspeed JTAG controller serves as the interface between the PC and the TAP interface. System boards typically include a single JTAG TAP connector dedicated to each CPU. This TAP is often used for JTAG–based software debug and can be leveraged for additional tests with ScanExpress JET. Boards may also include additional JTAG TAP connectors for boundary-scan test and in-system programming. The ScanExpress JET system is also able to handle cases where more than one JTAG-compliant device is connected in a single scan chain, as well as systems with multiple TAP connections.